The two contenders for the 7DAYS EuroCup trophy more than deserve a spot in next season’s Turkish Airlines EuroLeague Regular Season. In order to compete in the EuroLeague, you need to be part of the elite. This is not a snobbish approach. It’s just a fact. Only the top European clubs can keep up with the rest of their opponents in the Turkish Airlines EuroLeague; they also need to have tradition behind them and the right amount of ambition, resources, and passion. If they don’t, then not only they will be disappointed, but their presence in the league might not be felt. That’s why no matter who prevails between Valencia and ALBA Berlin, the EuroLeague will benefit from their presence. Here’s why. 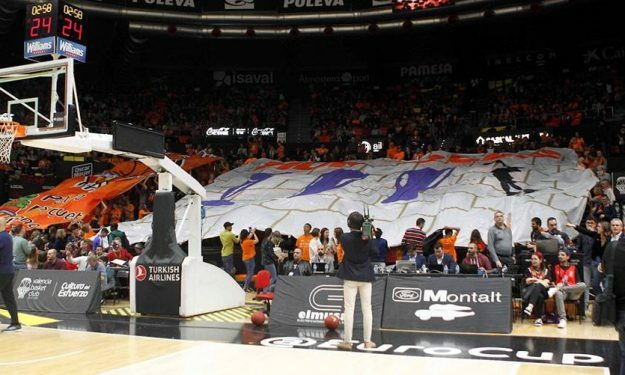 While both clubs are relatively young – Valencia was founded in 1986 and ALBA in 1991, they have already left their mark on European basketball. ALBA Berlin has won eight German League championships and nine German Cups plus the FIBA Korac Cup. For many seasons ALBA was by far the best team in Germany and has regularly been part of the EuroLeague. While there’s currently solid local competition, mainly from FC Bayern Munich, ALBA had played in the EuroLeague quite recently, reaching the Top 16 back in the 2014-15 season. If ALBA gets the trophy, then for the first time ever Germany can potentially have three teams in the EuroLeague, since Bayern has a two-year license after the recent expansion and there’s also a spot that can be allocated to German champion. Valencia, on the other hand, is also a regular in the EuroLeague, while also being synonymous with the EuroCup, which has already won three times. It was the Spanish champion in 2017 and many members of the current roster have experience at the top level in Europe. Returning to the EuroLeague would be returning to a place Valencia is comfortable in. Having said that, if Valencia ends up winning the EuroCup, then – according to EuroLeague bylaws, the spot for next season that was reserved for the Spanish ACB become a wildcard. No more than four teams from the same country can compete in the EuroLeague and Valencia can lock up the fourth spot behind Real Madrid, FC Barcelona Lassa and KIROLBET Baskonia Vitoria Gasteiz.